IDaaS, or Identity-as-a-Service, is an often thrown around term in the IT sector. Unfortunately, it means a lot of different things to a lot of different people. IT organizations view the term differently than most vendors do. Analysts think of the term differently from everybody else as well. We think that there’s been something lost in translation for what IDaaS means, and in this post we’ll try to clear some of that up by talking about the future of IDaaS and why Directory-as-a-Service® fits the future of identity management. Let’s step back and talk about how the term IDaaS even emerged. The identity management sector had been dominated for many years by Microsoft Active Directory®, before a handful of vendors came up with the term Identity-as-a-Service. IT networks were largely homogeneous for a long time. Microsoft Windows was the platform of choice and most major applications were built on top of the OS. Virtually all IT resources at the time were located on-prem, and the way AD was architected it could dominate the IAM space, which as a result it did. As web applications started to become popular in the early 2000s, a new category of single sign-on solutions started to be introduced. These SSO platforms would go on to integrate with AD. Later in the decade, a new wave of web app SSO platforms emerged, but these apps would be delivered from the cloud. They classified themselves as IDaaS. Interestingly, though, these solutions weren’t identity providers. The identity provider was still Active Directory. They just authenticated with those credentials and then created assertions to web applications that leveraged the SAML authentication protocol. 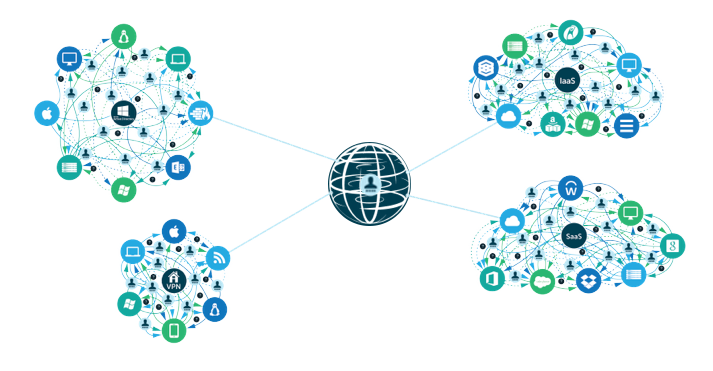 The term Identity-as-a-Service was a misnomer for the large part. While IDaaS was delivering the identity to an IT resource, in general it wasn’t the source of the identity. Nevertheless, the name stuck. Because of where the industry came from, it was never even a question whether Active Directory would be the identity provider. Microsoft owned the IAM sector and everybody else was just building on top of it, so when the web application SSO vendors came up with the term nobody quibbled too much. The directory services market, after all, wasn’t where the action was and there wasn’t an opportunity there. That all changed with the introduction of Directory-as-a-Service. This cloud identity management platform aimed directly at replacing Active Directory and becoming the central identity provider for virtually any IT resource that an end user needed to access including systems (Windows, Mac, Linux), cloud and on-prem servers, web and on-prem applications, and wired and WiFi networks. The future of IDaaS wasn’t just to federate an identity to other IT resources, but rather to be the central cloud identity provider for an organization. Now, we were getting to the true meaning of Identity-as-a-Service. 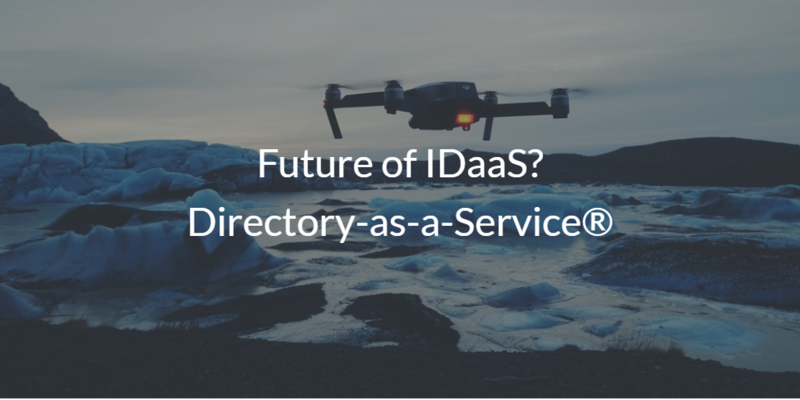 If you would like to learn more about the future of IDaaS and why Directory-as-a-Service may be that platform for your organization, drop us a note. Alternatively, sign-up for a free IDaaS account and see what a true cloud directory could be for you. Your first 10 users are free forever.